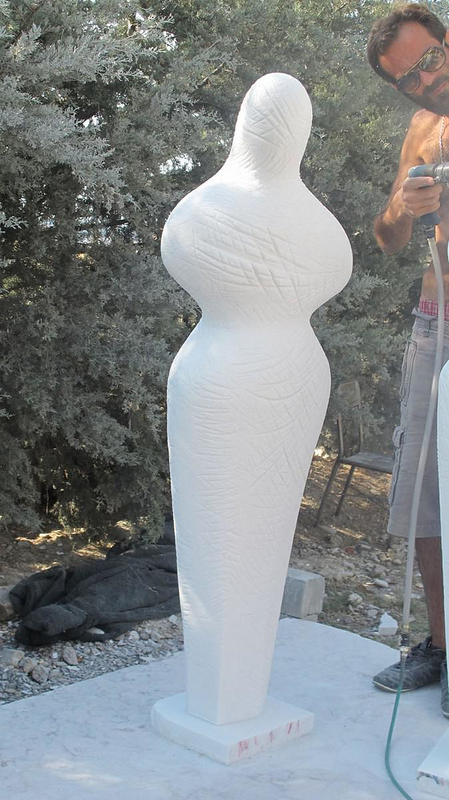 HomeBlogArtModern marble sculptures by Odysseas Tosounidis. 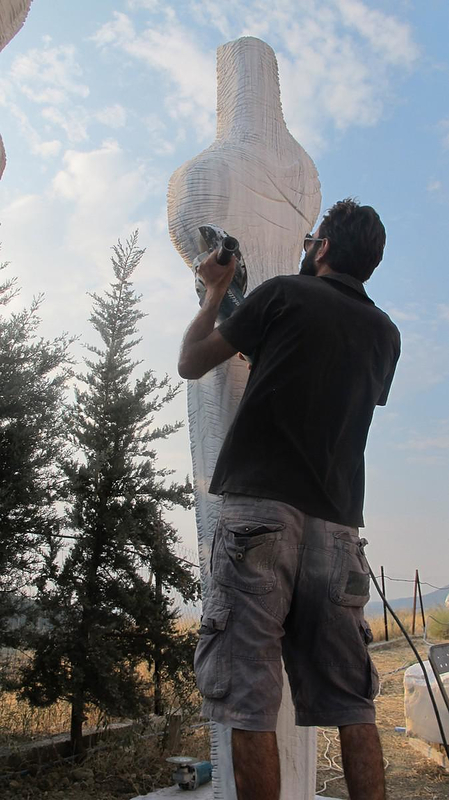 Odysseas Tosounidis is a young Greek artist who creates monumental modern marble sculptures. 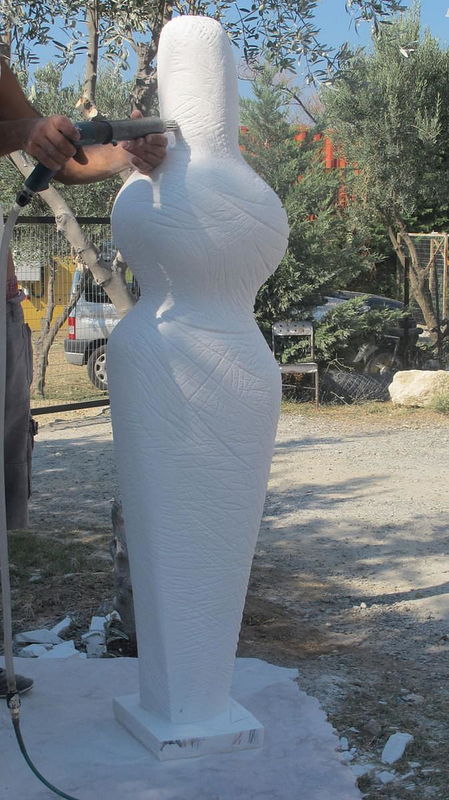 Marble sculpting is undoubtedly an artistic expression with long history interwoven with Greek tradition. 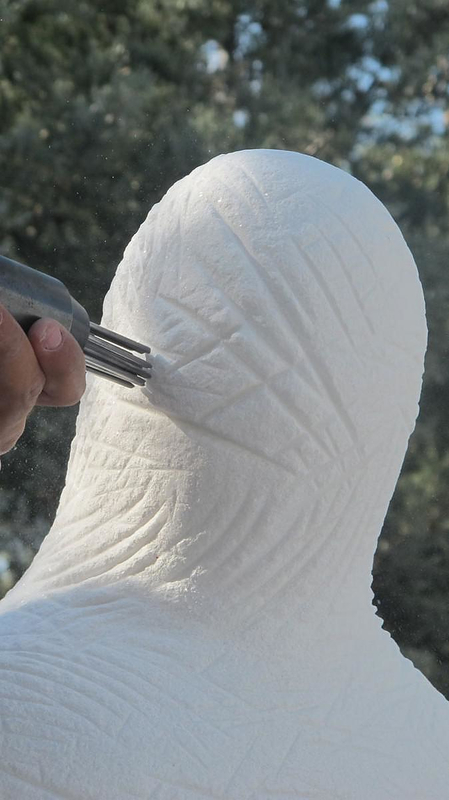 Tosounidis choose to work with such a hard and difficult medium in order to continue this long tradition and promote a modern aspect of marble sculpture. White marble is a distinctive and impressive material with timeless appeal. It has been an emblem of wealth, prosperity, sanctity and high aesthetics. These constant and stable virtues of marble, this strong impact on humans were a motivation for Odysseas Tosounidis who creates unique marble figures via a traditional craftsmanship. 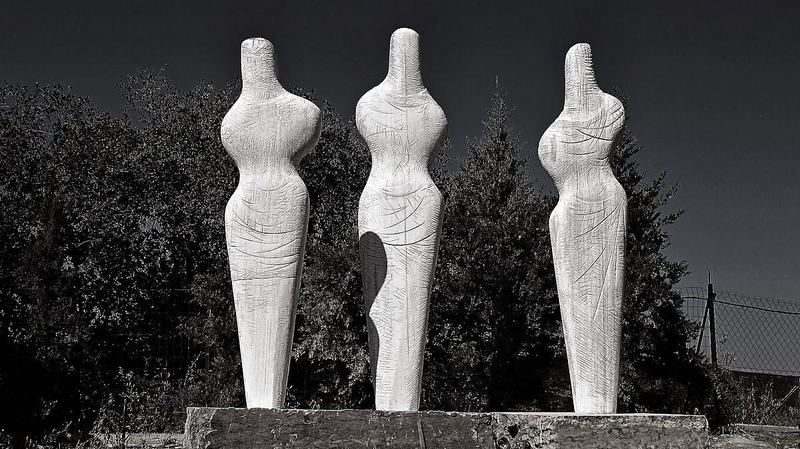 Free and independent of any stereotype Odysseas works on his volumes of white marble and gives life to his totemic, Doric forms. Any decorative element is not allowed to destroy these hymns to simplicity. Odysseas Tosounidis was born in 1983 in Tbilisi, Georgia. He studied Sculpture in the National Academy of Fine Arts in Tbilisi where he also got his master degree. 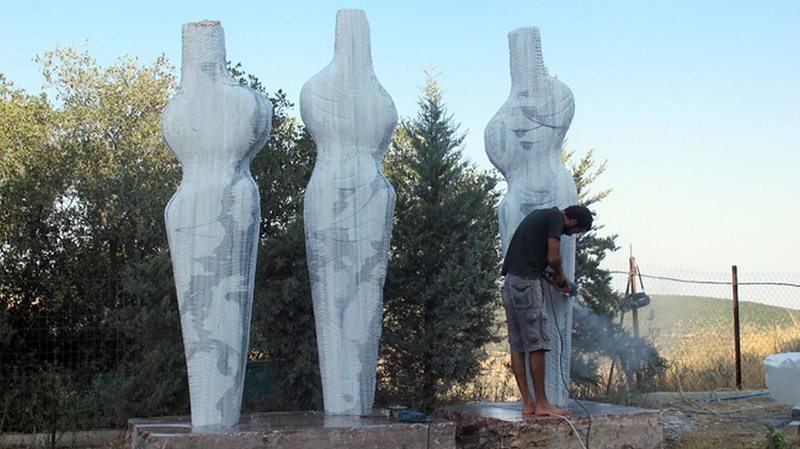 He has taken part to many group exhibitions in Greece and Georgia and in 2011 he won the 1st Prize of the 3rd International Sculpture Symposium with granite.